Rev. 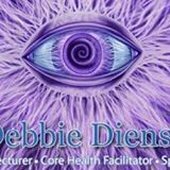 Debbie is a trans-medium, psychic reader and specializes in communication with relatives and loved ones who have crossed over so you won’t want to miss this show! Call in to talk to your loved one in spirit!!! Exciting!!! 727-433-3896 is her contact information if you would like a reading after the show. During the show they are free.